For the second straight week, media members were kicked out of a Pac-12 practice by a coach coming off a loss. 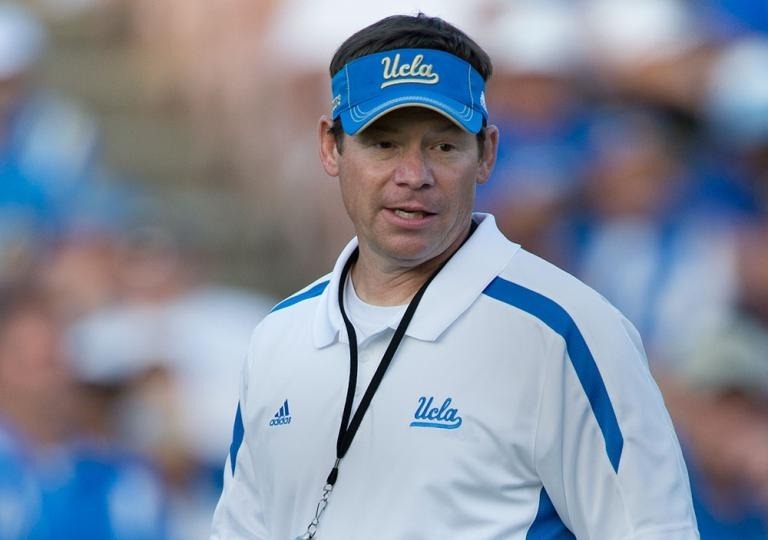 According to the LA Times, Jim Mora Jr. exiled the media from UCLA practice after camera crews began setting up on the field. The action apparently angered Mora who promptly kicked out all reporters and media crew members. This comes on the heels of harsh comments from Michigan State coach Mark Dantonio, another episode in South Carolina coach Steve Spurrier’s ongoing feud with columnist Ron Morris, and just a week after Lane Kiffin bailed on his post-practice question session after 29 seconds. Coaches have recently expressed frustration over injury-related questions, as well as quick judgement from fans and media alike, but this latest example seems to be even more preemptive than usual.